MIDTOWN, Manhattan (WABC) -- Firefighters are battled a fire at a high-rise building in Manhattan Friday evening. 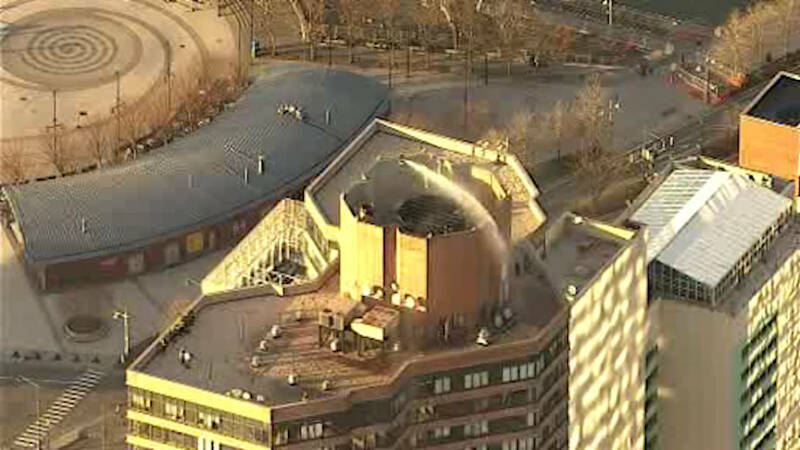 The flames broke out on the rooftop of 650 West 42nd Street between 11th and 12th avenues just after 5 p.m. The high-rise is a mixed-occupancy structure with two towers, each rising 40 stories with a total of 1,276 residential units and two commercial units. There are no reported injuries, and the buildings were not evacuated.